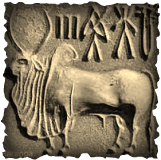 The Indus civilization is one of the oldest civilizations which began roaming the earth. The Indus civilization began below the fantastic and grand Himalayan mountains located in the wonderful Pakistan. The origin of this civilization began around the time period of 2300 BC. Indus valley civilization was not only one of the first civilizations to roam the earth, but also one of the most urban and well known civilization to this day. The Indus civilization was a more advanced civilizations compared to the others. The Indus civilization's culture is very similar to modern India. Then again, they might not have had a religion but many archaeologists have found many instances of things related to religion. They worshiped Lord Shiva, and followed Buddhism (Which they had a different name for which is unknown). Like us, one of their most important pastimes was trading or marketing. They followed the system of barter trade. There were lots of trading routes close to the seas which were found in the Harappan civilization. The Indus civilization's culture, as I mentioned is very close to ours, just less developed. One of the main differences though, is the invention of technology, (phones, internet, etc). The art and architecture in Indus civilization was very important to them. When archaeologists discovered the places and sites the Indus had stayed in, their houses were very simple, yet they took quite a long time to make. The archaeologists had described the houses to be round, quite different compared to other civilizations. The houses were built with mud. They had piled on several layers of mud, and allowed it to dry in the sun, creating a perfect home for these simple people. 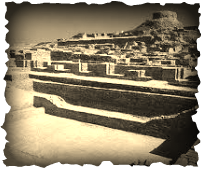 The earliest Indian art emerged in the valley river during the second half of the third millenium BC. Their first idea or art was arranging the streets, the walls, even the public drainage system (!) into a grid. Later, their art developed more into types of art that we have in present day such as paintings, murals, etc.. Art and architecture was very important to them and they probably wouldn't have been such a notable civilization. The Indus valley civilization had a very peculiar way of dressing. Their clothes in their time had no resemblance whatsoever to what we wear today. They considered clothes quite important and took a long time to decide what they would wear. The fashion of the indus valley civilization consisted of loin cloth for mean (which meant only their bottom halves were covered with cloth, probably made of tiger skin, cheetah skin, lion skin etc). Women had a more covered way of dressing. They wore quite long skirts, coming down to below the knee, and shirts which covered all the way up to their stomachs. They're clothes were probably made of the same material for men. They also wore sandals made of wood and cloth, and the rich people wore actual shirts and skirts made with cotton or woolen yarn. Accessories were very important to women and men alike. 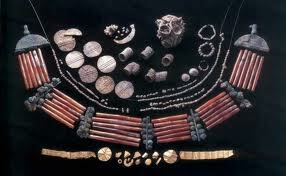 They wore accessories such as necklaces, ornaments, fillets, armelts, and rings.